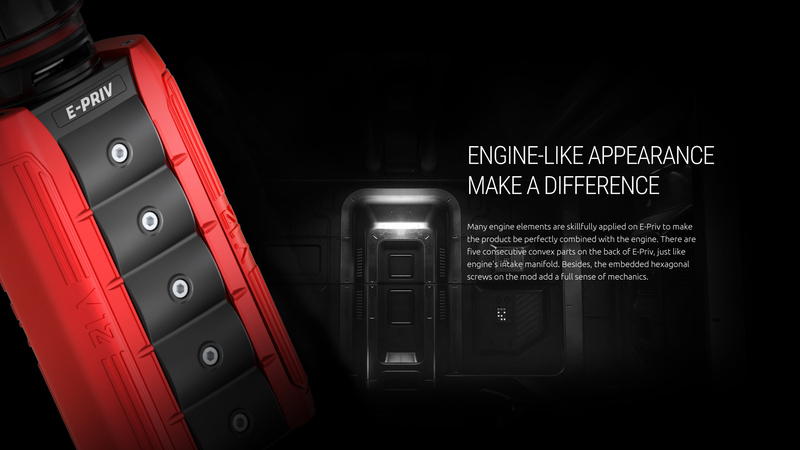 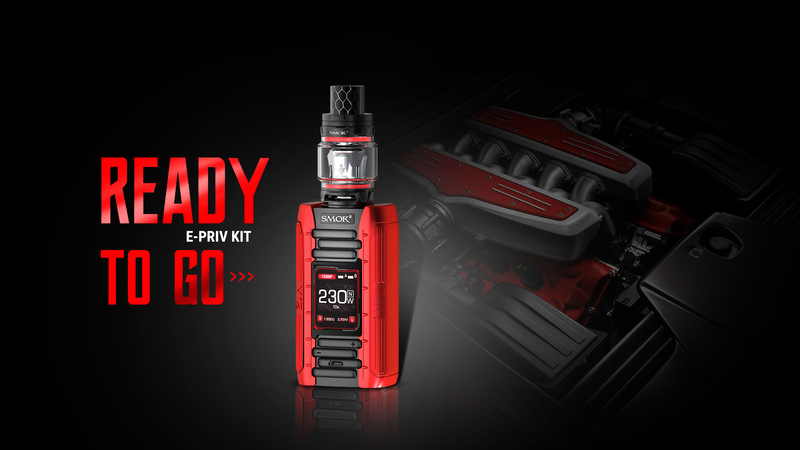 Inspired by world-class engine’s of top racing cars with a huge and hard appearance with higher output of 230W with the usage of two 18650 batteries as its power source. 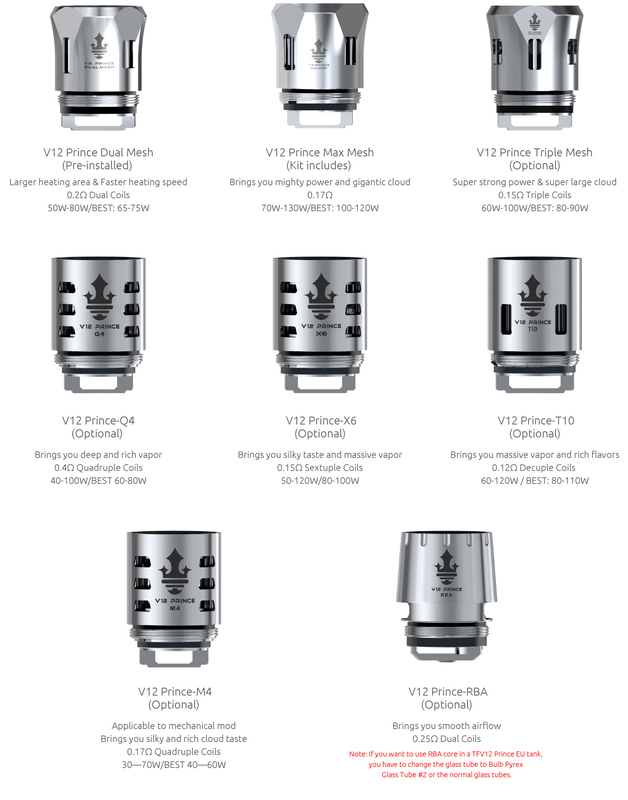 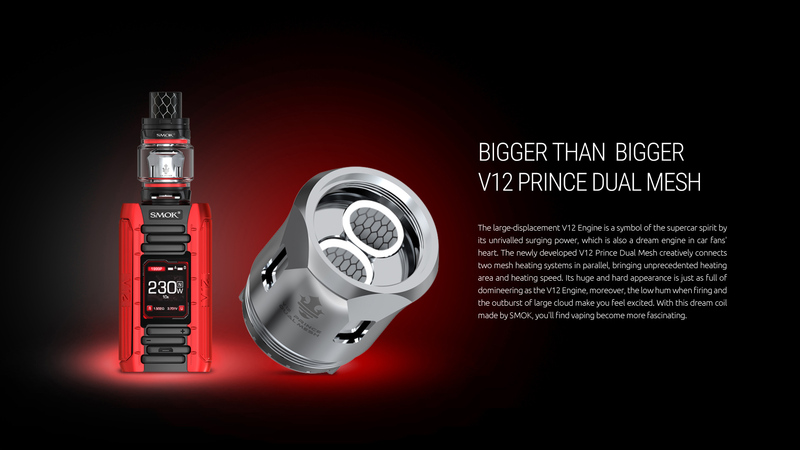 This stunning box mod meticulously designed and elaborately crafted comes with amazing TFV12 Prince tank of 8 ml capacity with Bigger Than Bigger V12 Prince Dual Mesh Coil to add early rise in heating speed and unprecedented heating area. 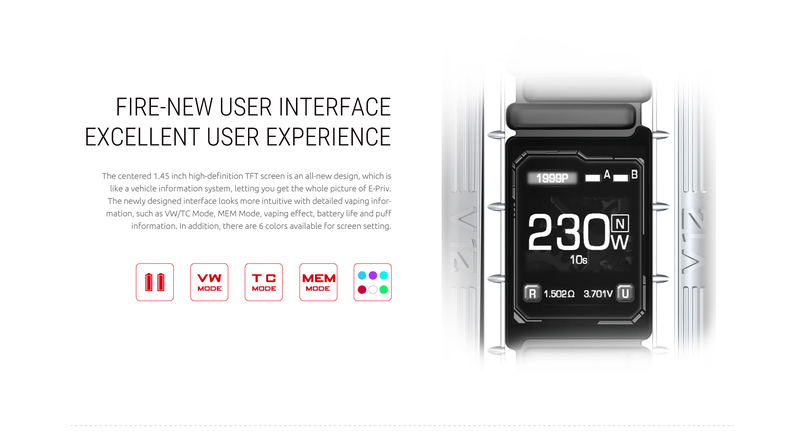 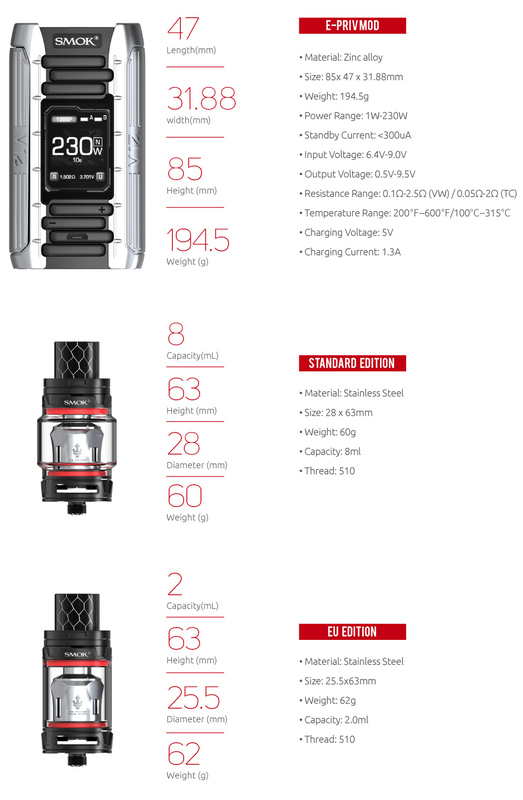 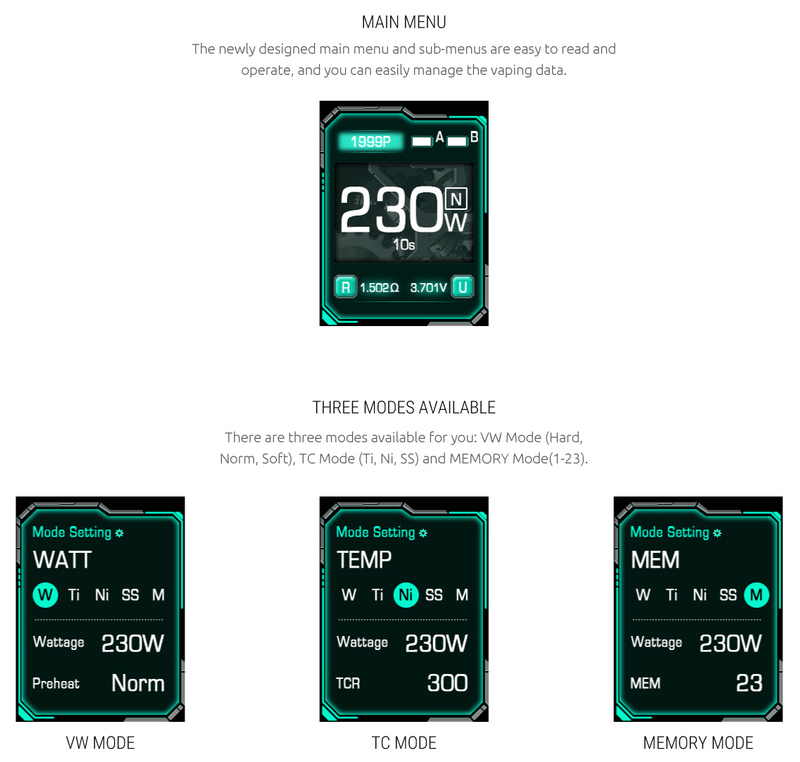 The centered 1.45-inch-high-definition new TFT screen acts like a vehicle information system display, VW/TC mode, MEM mode, vaping effect, battery life and puff information and so on to meet diversified vaping demands. 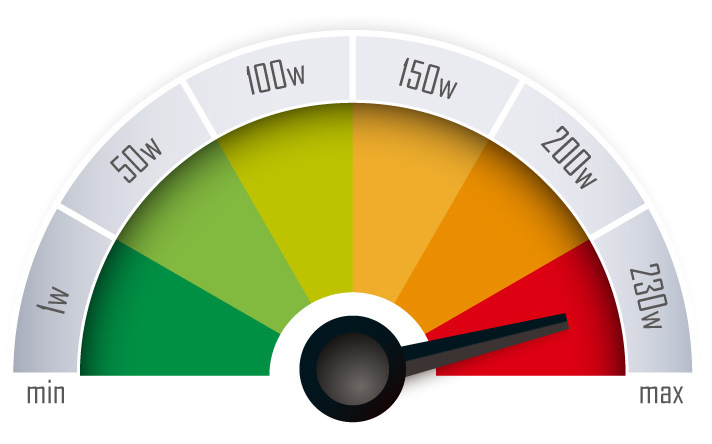 Low hum firing and outburst of large cloud fascinates cloud chasers. 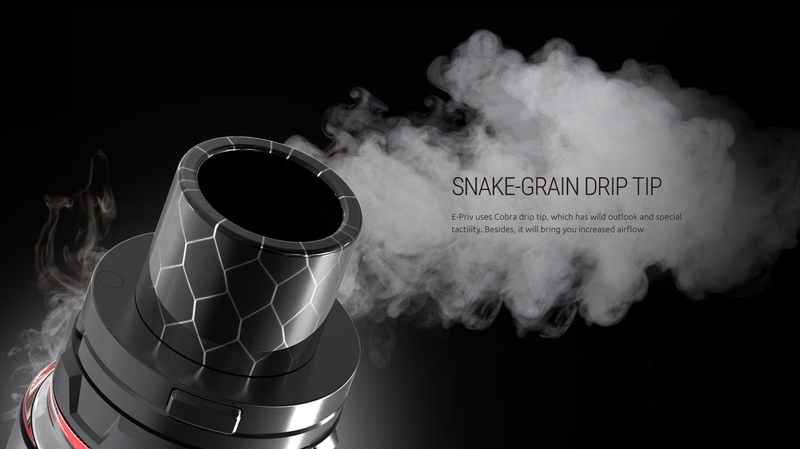 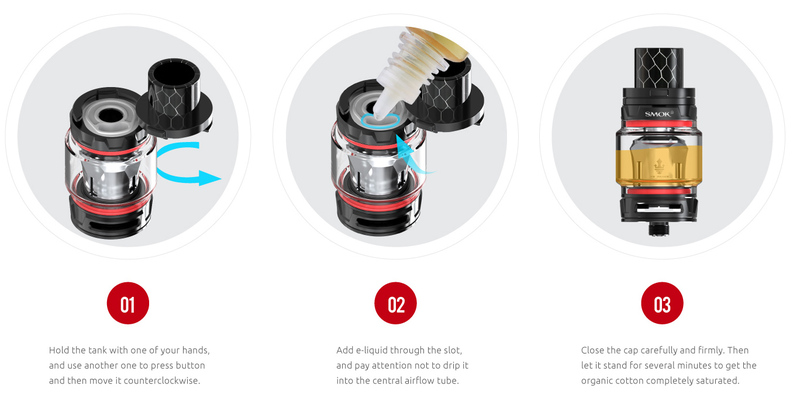 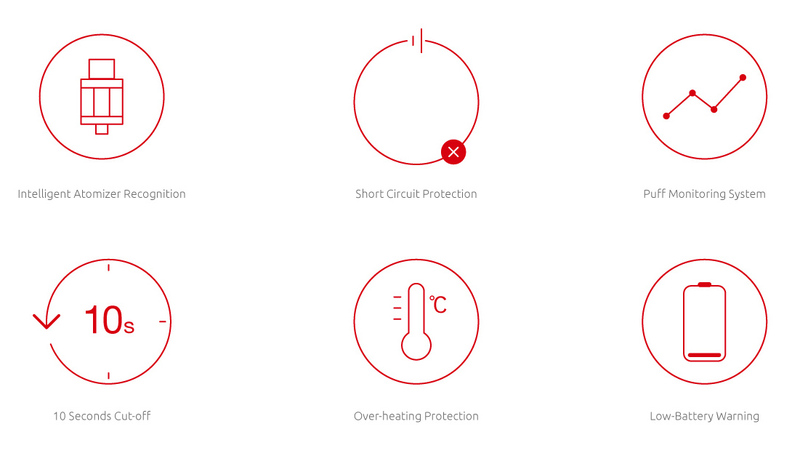 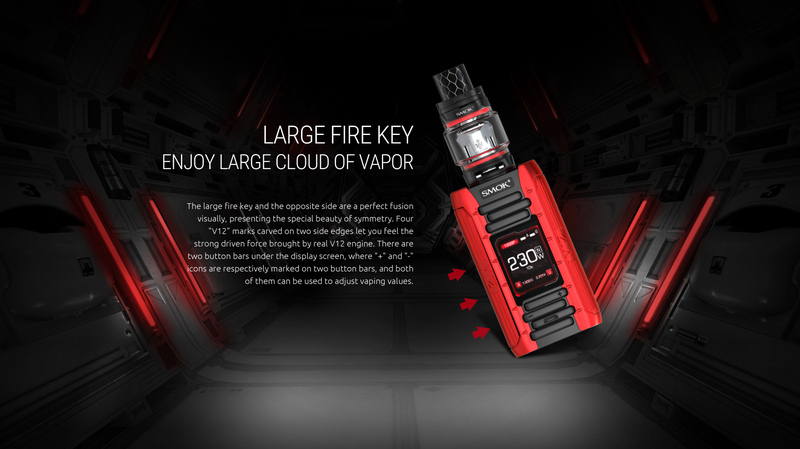 A key attraction is a protective anti-slipping ring against damage and bigger fire key makes it an excellent user experience with the inhale of a larger cloud of vapor. 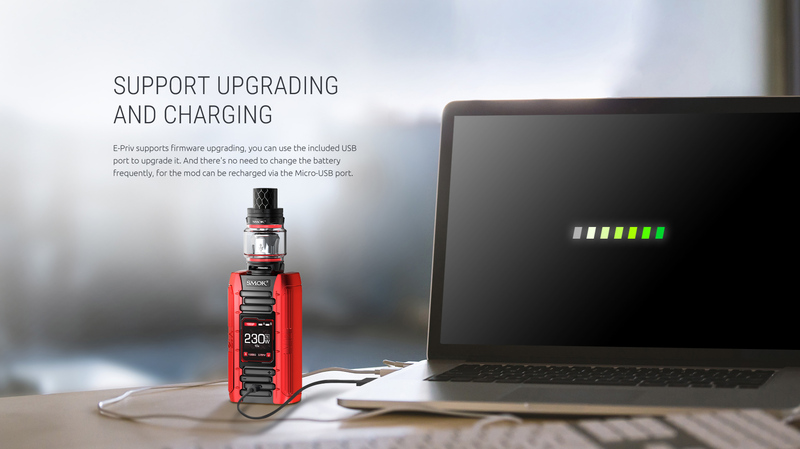 Firmware Upgrading with recharge via micro USB port makes it easy to manage. 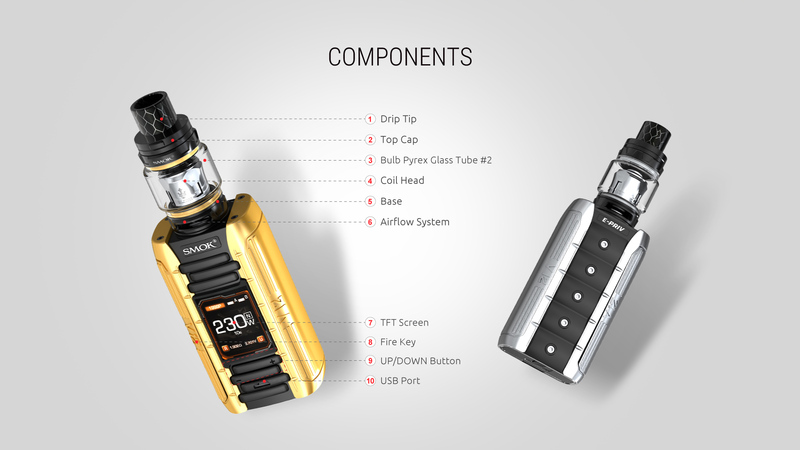 Enjoy the extra vaping journey with 5 color options available.